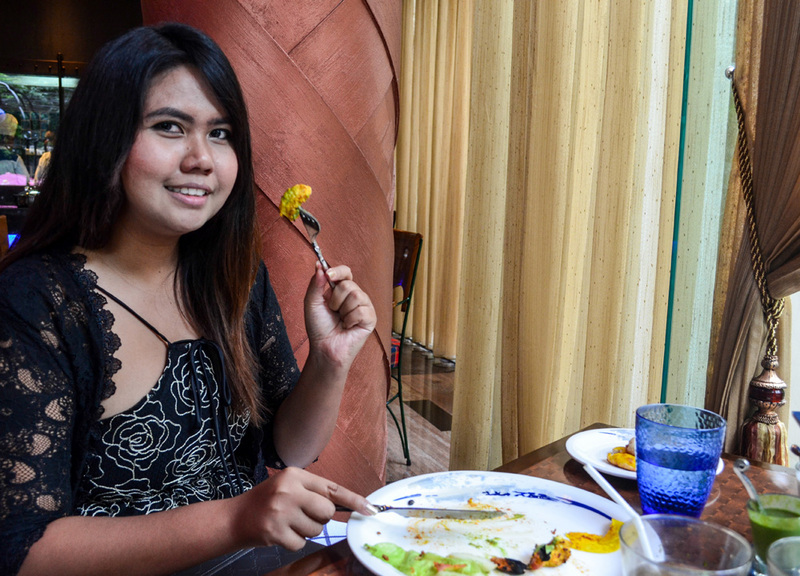 In Sukhumvit the selection of Indian restaurants has been a tad boring in the past, you navigate the block, eat at them all, and find little new from one to the next. This, to be honest, is not so different to Bangkok and Thailand where I’d happily jump borders to coastal neighbours of Malaysia, Singapore or even Myanmar, to find authentic Indian cuisine and smoky tandoor kicks. While I can’t see my much loved Indian shophouse experiences gracing Bangkok’s city centre we are beginning to find treats in the higher end of eating, the most recent example being the Great Kabab Factory a successful franchise from India which joined us nearby in the Sukhumvit area (Majestic Grande Hotel on Sukhumvit Soi 2). This was the first Indian experience to excite me in a long time and with a fixed price, all-you-can-eat menu, and a selection of over 450 kababs, I was ready to slide car bonnets to get there. We arrive to a rather swank dining experience, with open kitchen, an industrial (factory) design and a modern, ethnic ambiance. 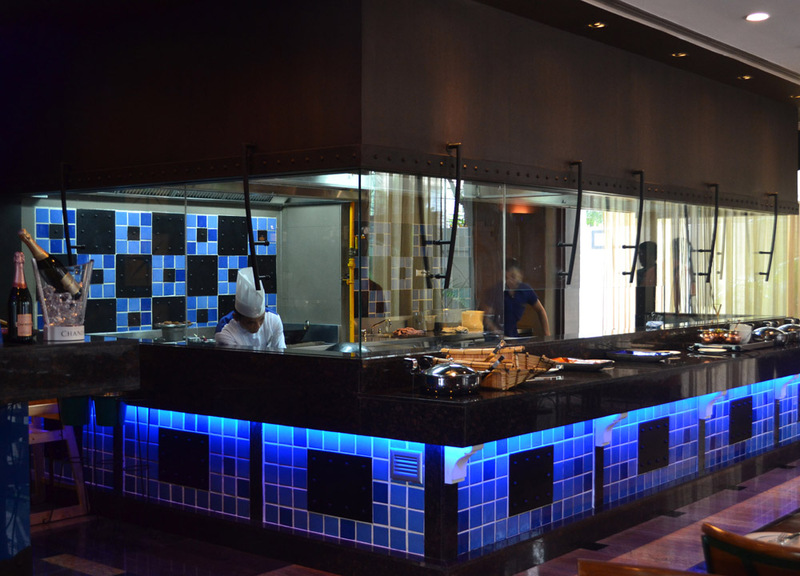 The menu offers two options of veg (1,000 Baht) and non-veg (1,100 Baht) and of course we go with the non-veg option. For those new to Kababs / Kebabs / Kabobs they are little more than meats or veg cooked on a skewer or stick. This means variations and interpretations are potentially limitless and at the Great Kabab Factory they are set to prove this. While there are 450 kabab recipes in the factory drawer, only a set selection will be served on any given day which makes choice simpler but also guarantees something new on every return. It is a concept hard to get bored of. 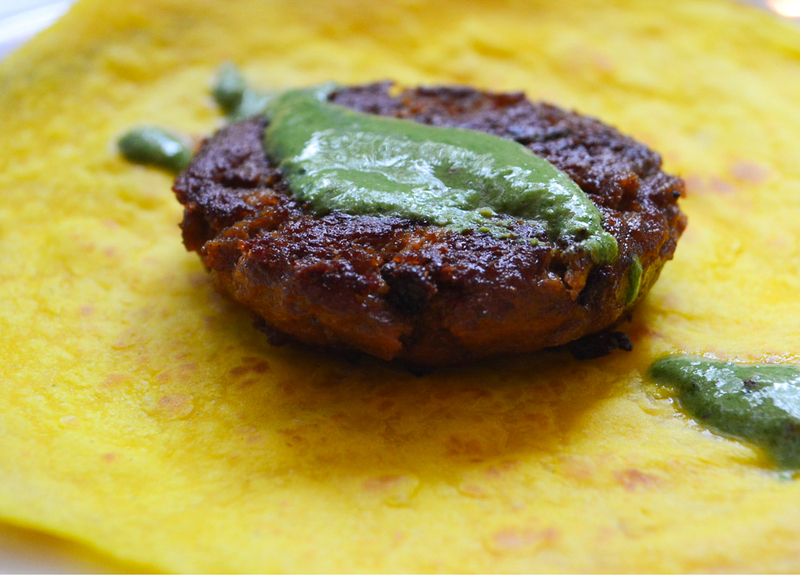 The one consistent kabab, the signature Galouti Kabab, comes served as a soft spiced lamb patty, wrapped in a thin flatbread with optional lashings of mint sauce (pictured above). This generally starts the meal before a follow up of 5 uniquely spiced and beautifully presented kababs (our selection below). 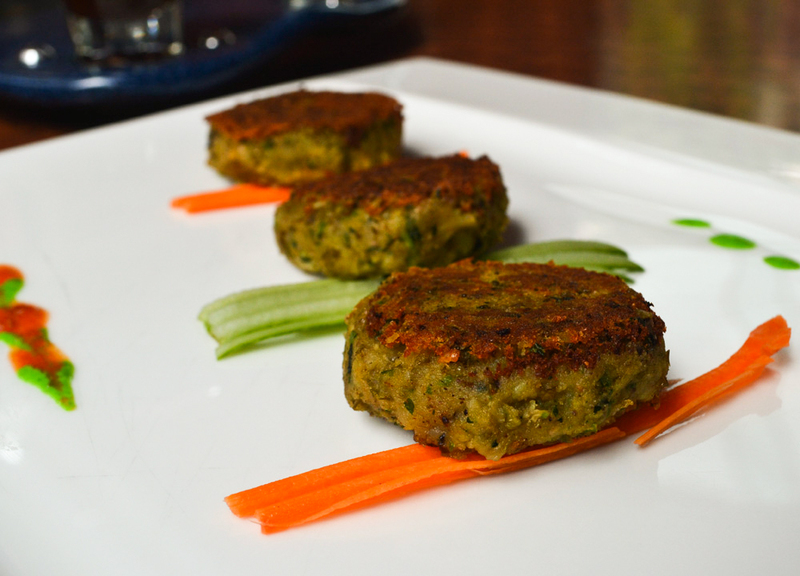 To successfully franchise Indian food in India the food can’t be any less than top notch but I feel much of the success of the Great Kabab Factory comes from their contemporary and sophisticated take on authentic, ethnic foods. It is certainly new for Bangkok and a welcome addition to Sukhumvit. 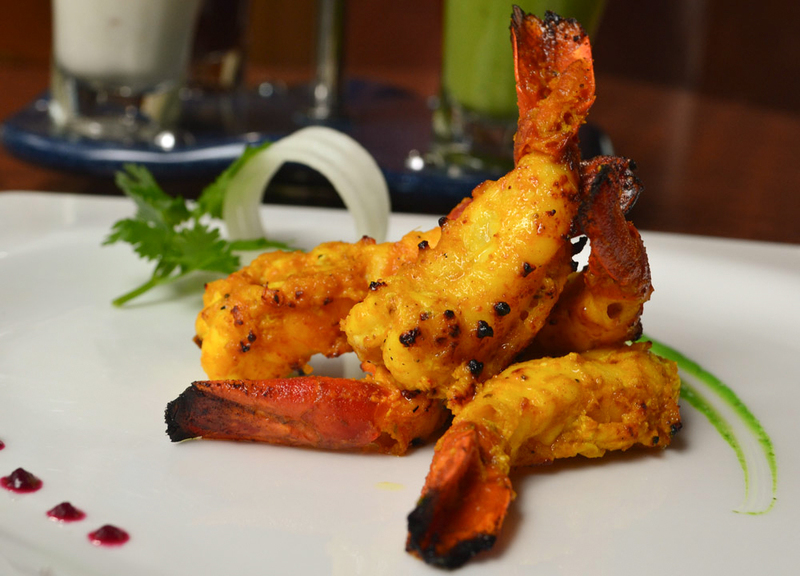 Anyway here are some of our bites from the visit, from fenugreek flavoured prawns to whole spiced lamb chops. A selection which will no doubt change on our next visit. 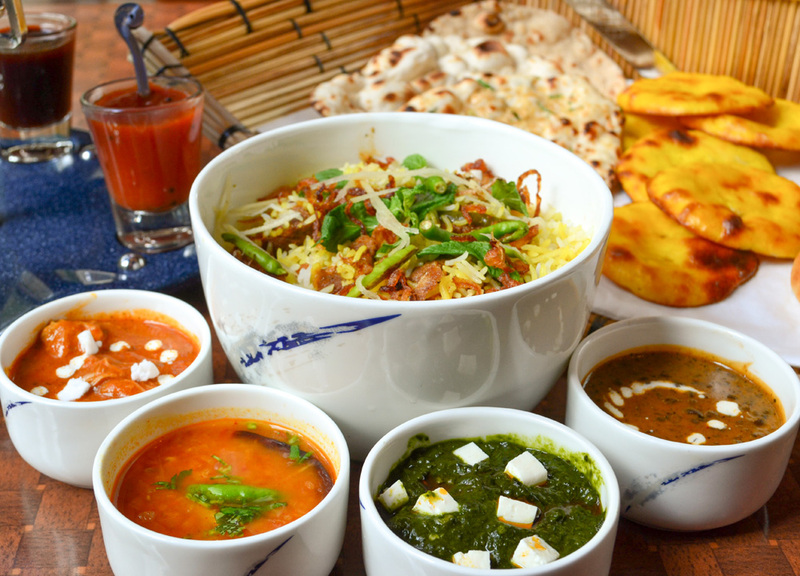 Just when we can’t eat anymore the main course arrives… a basket of specialty breads, dals and curries and a fragrant pilau biryani with generous chunks of mutton. Familiar dishes yet new again, our seemingly simple palak paneer for example comes laced with the fiery kicks of whole dry chilli peppers. The main course, unlike kababs, remains unchanged on each visit except for the curry-of-the-day which today is a rich butter chicken. We power through the main course to the desserts (Fanfan drops out at this stage so I go it alone). 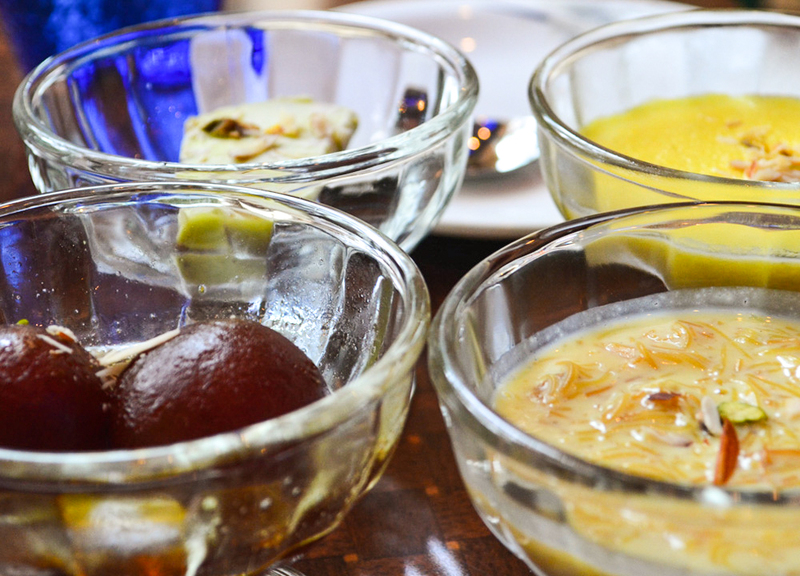 Expecting a quick choice of one dessert I am greeted by all four on the menu; Semiya kheer (rice pudding), kesari phirni (another rice pudding), pistachio kulfi (ice-cream), gulab jamun (sponge in syrup). 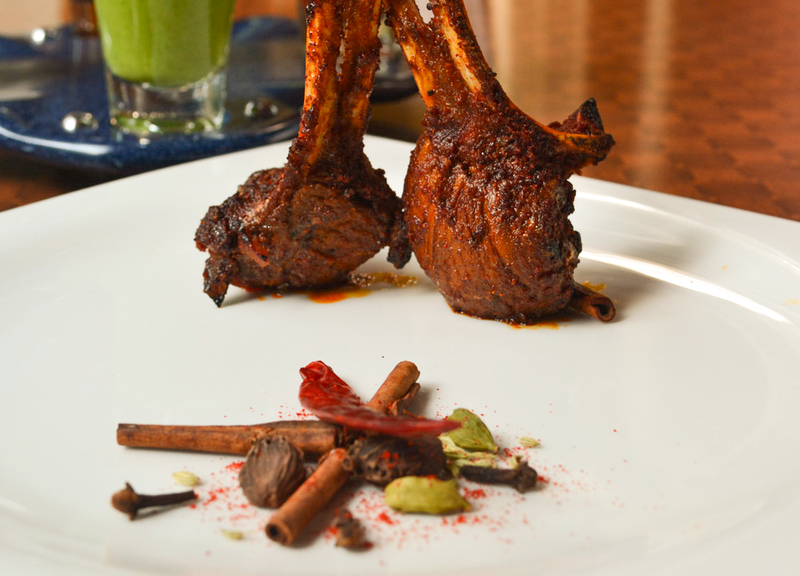 The experience does give a great introduction to Indian food favourites yet still brings a modern twist to the more familiar. 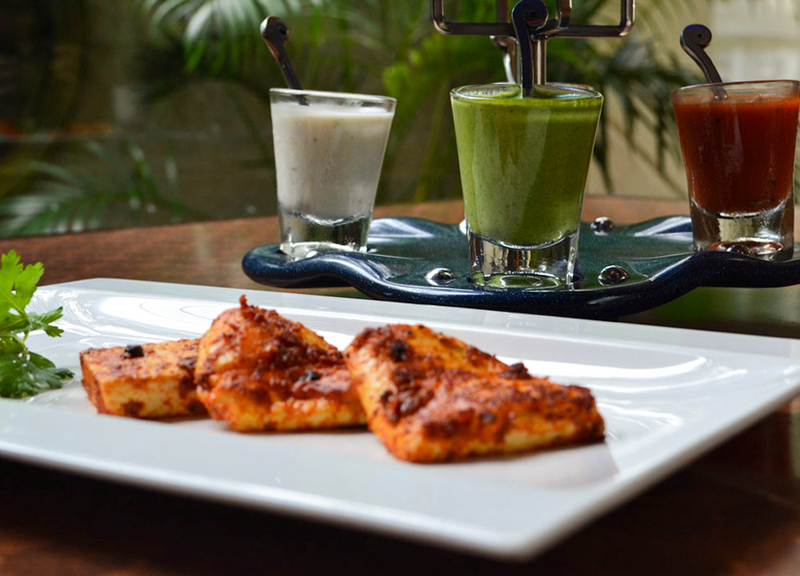 On this occasion we skip on the alcohol and instead sample the mocktails our choice spiced with cumin and chaat masala. Again completely new. So overall the experience was unlike any we’d found before in Bangkok and is one which we could easily replicate again, and again..
Keep your eyes on this scene, there’s a lot happening at the moment. But yeah, it’s all on or above the ‘more than i wanna pay’ plane. There’s some decent all-you-can-eat deals at Indus and Maya but only for brunch, at weekends, and are completely packed… too much hassle. Caught your trends Dwight will definitely be following. They are actually starting Sunday Brunches at Kabab factory at 800B per person now. Worth another visit I think.